Yeah, but: Yes, I own three of them. The Long Version: I like hats, which is a little odd because until recently I haven't usually worn them. But this summer I decided that I would make a more concentrated effort to protect myself from the sun, so now I keep a hat on hand, so to speak. Or try to, anyway: even ballcaps are bulky and tough to keep track of, especially when I'm constantly switching between different bags. I found the Radar Pocket Cap when I was browsing the friendly shelves of my local Mountain Co-op. 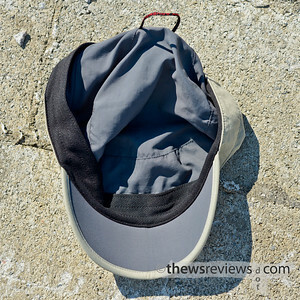 I had left my ballcap at home yet again that day, so I was looking for something that would be able to protect me from the sun, be easy to carry and pack, and still not be too expensive. 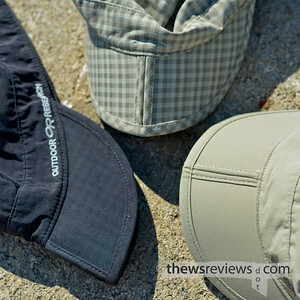 I have to say that Outdoor Research's "Radar Pocket Cap" is just about perfect. Outdoor Research generally makes really good gear, and the Pocket Radar escapes the ugly "OR" logo that afflicts much of their line. (I see it and want to ask: "Or What?") Instead it has their full name stitched into the band, jauntily off-centre, with a small logo tag on the back as well. I can live with that. I'm not sure why they thought that also embroidering "UPF 30" onto the back was a good idea, but overall the Radar made it past the marketing department without being fatally wounded. 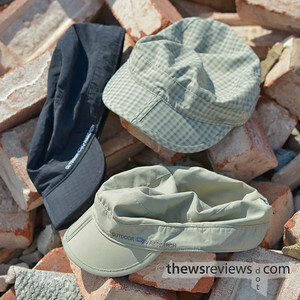 The really big deal with the Radar, and what earns it the Pocket Cap appellation, is that the brim folds in half. It has a single piece of dark grey fabric across the bottom, for a seamless look, and the fabric stitched to reinforce the hinge on the top can easily be mistaken for a styling accent. Once it's folded then it's easy to wrap the hat around itself and tuck it into a back pocket. I'm a big fan of things that fold up without looking like they should, and pocketability is a huge factor for me. While I realize that the North American Etiquette Society has ruled that men are now allowed to wear hats indoors without automatically being considered complete assbags, I still prefer to remove mine as promptly as possible. This means that I may be putting my hat away a half-dozen times in a day, and the Radar has held up perfectly. Sewn into the back of the cap is a little cord loop that makes it easy to hang up or clip to things. I already have biner clips on most of my bags specifically for the purpose, so this was a clear sign that the Radar is the cap for me. I have a thing against one-size-fits-all hats, but the design of the D-gap at the back does make them easy to clip to things. Finding a properly fitted hat that's still easy to put away is huge. 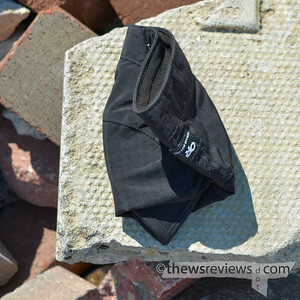 The cap itself is lightweight nylon, which is somewhat rain-repellant and not at all breathable; the black one especially is hot in the sun. There is also a Transit Radar that has mesh panels built into the side – I'm not sure who thinks these names are clever – but the use of mesh in clothing has too many bad associations for me to try that one out. While the fabric isn't immune to wrinkles, it bounces back fairly well. Being nylon, the cap doesn't attract much dirt and dries quickly after it has been washed. Hand-washing it is easy, but I've also thrown it in my front-load machine with good results. After spending a month with my black check Radar pocket cap the only sensible thing to do was buy another one. So naturally I ended up with two more: never believe a store when they say that a seasonal item is "backordered three to five weeks". Since I'm in a good position to compare, it's worth pointing out that they fit slightly differently despite all being nominally the same size. It never hurts to check in an actual store if their sizing guide seems ambiguous. But despite already owning three of these caps, I'm still looking forward to seeing what colours Outdoor Research comes up with next year. I'm easily tempted when it comes to things that I like. Yeah, but: Fast fifty – the original all-purpose lens. The Long Version: Fast primes aren't my usual thing, so while the Nikon 50/1.4G AF-S lens isn't my first, it did take me quite a while to decide to buy it. I was initially looking at the 60/2.8G Micro lens as a new standard for my Nikons, but after a lot of reading and test drives, I surprised myself by picking the smaller and faster option as the lens that just felt right. 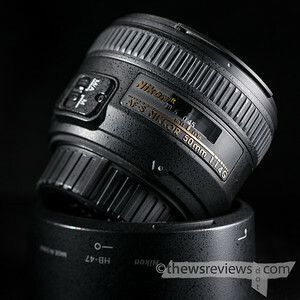 The 50/1.4G is a modern mid-range Nikkor, which means a lot of plastic, but even by that standard it's a very light lens. Its front element is deeply recessed, and while it comes forward when the lens is at its 45cm minimum focusing distance, it never advances beyond the front of the focusing ring. With its metal lens mount and so much of the glass at the rear of the barrel, the lens's centre of gravity is about where its full name is written out behind the focusing distance window. Having its weight so far back means that on the camera the lens just disappears: it's exceptionally transparent to work with. Naturally, the 50/1.4G comes with a plastic bayonet-mount barrel hood that can cut down its tendency to flare. This adds almost nothing to its weight but increases its length by two thirds, which still leaves it quite small and easy to carry. Given how deeply recessed the front element is I'd almost consider it optional, but I'm such a rule-follower that the idea of not using it never even occurred to me. If nothing else, it keeps me from getting my fingers in the shot. By taking the 50/1.4G over the macro lens I do have to accept a certain amount of barrel distortion, which bothers me. 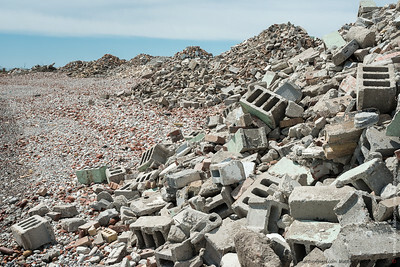 But now I routinely use DxO's "Optics Pro" software on all of the worthwhile photos from the D800. That goes beyond Lightroom 4 in correcting for poor corner sharpness, vignetting, and distortion. It's not perfect, and it's not as good as starting with an exceptional lens, but it does a nice pre-polish on the 50/1.4G. What can I say? Every compromise has its compensation. The frustrating truth is that there is no 'best' lens, and in reality peak sharpness isn't everything: it's more important to have the lens that's right for the photographer. Looking at the photos that I've taken with the 50/1.4G shows that one-quarter of the time it's set faster than f/2.8, and that's not something I'd be willing to give up. And it's not just in "low light" conditions, either – I've come to embrace the lens's character at wide apertures and enjoy a certain loss of definition. There are certain lenses that are so predictably and uniformly excellent that they're almost boring to use – the 50/1.4G is not one of those lenses. Wide open it has a bit of bite in the centre, but it covers only a small portion of the frame. (Unhelpfully, I've actually softened this area in the Gray/Staso photo, as it's distracting in the full-sized image.) By f/2.8 it's quite well behaved, and is most consistent around f/4-5.6. Even then it's still not perfectly uniform, but it's not going to start any fist fights. In an ideal world, every lens would have fast and accurate autofocus. But if I need to choose between the two, I'll take accuracy over speed any day, and I suspect that the Nikon designers made the same decision. Focusing the 50/1.4G is slow enough that it's noticeable, but it has never let me down. I've used the lens on my D700, D800, F100, and F5 – all great cameras, to be sure, and it's absolutely solid on all of them. Naturally, I use the AF fine-tuning on every camera that supports it, and it can make a huge difference with such narrow depths of field. Highly recommended. I don't suppose many people would be using a 50mm lens for fast action, and the lens is quick enough when making short adjustments. It just takes a beat to reset if it misses and has to come back. While the lens is said to have some focus shift, I've never seen its effect in my photos. That's not to say that it isn't there, since focus shift is an optical fact and not a matter of sample variation, but rather that it's subtle enough that it's being disguised within the depth of field and/or my typically poor shot discipline. This makes it pretty much irrelevant on the D800, because if I deeply care about critical sharpness – and I'm using the 50/1.4G anyway – then I'll be using a tripod, live view, and contrast-detection autofocus, which focuses the lens directly from the image sensor at the shooting aperture. That makes most softness problems, including focus shift, go away. Nikon 50mm f/1.8 AF-D: The 50/1.8D is a funny lens – almost unreasonably cheap, and at f/5.6 it's one of the best Nikon lenses out there. I've already written a long-form review of it, but compared to the 1.4G, the cheaper lens has less geometric distortion, much faster focusing, and performs just as well when stopped down. Officially I sold the 1.8D because I wanted better performance at the wider apertures, but since I use the 1.4G at f/5.6 for half of my photos, I have to confess that its cheapness is ultimately why I replaced the 1.8D. 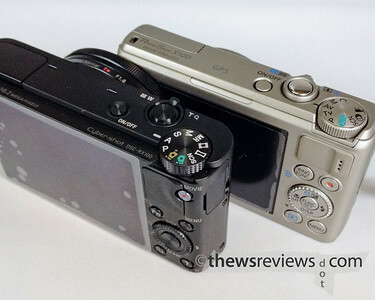 I just felt silly putting something so small and inexpensive on a top-end camera – it didn't make me happy, no matter how good it actually was. Nikon 50mm f/1.4 AF-D: While the little 50/1.4D really isn't as good wide open, and is never quite as sharp, the screw-drive AF has a 'snap' to it that the AF-S lenses lack. It's not just that the autofocus of the AF-S 50/1.4G is slower, which it unquestionably is, but the silent drive and lack of feel makes it less satisfying to use. The little 1.4D is the lens that I really want to put on my film F5 – but the better optics of the 1.4G are a better match to the D800. Nikon AF-S 50mm f/1.8G: The newer AF-S 50/1.8G is a bit faster to focus than the 1.4G, although still no match for the AF-D lenses on a strong screw-drive body. It doesn't have quite the peak central sharpness of the marginally brighter lens, but trying to spot the difference between the two in a print would probably require a loupe. And it's almost exactly the same size as the 1.4G, so it looks perfectly at home on any modern Nikon. If both lenses were sitting on the table in front of me, I would probably take the 1.4G, but I'd have to think about it. But if both lenses are sitting on the shelf at the store, then the 1.8G is only half the price of the 1.4G, and there are a lot of other fun photographic things that $250 could buy. Sigma 50/1.4 HSM: This is really a very different lens from any of the Nikons. Much bigger and heavier, this lens shows less vignetting than the Nikon 50/1.4G, and is beautifully built. But the Sigma is clearly optimized for portraiture – that's the polite way of saying that wide open the edges and corners are unequivocally soft, while the central sharpness is about the same as the Nikon, and it never really gets as sharp across the frame even at its best. 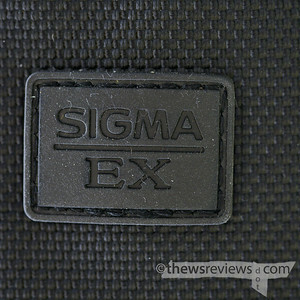 The Sigma is not a general-purpose lens the way the other 50's are, but it is perfect for the right people. 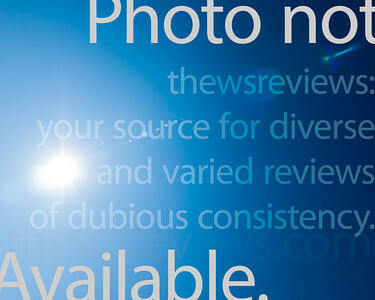 PSA: Keep in mind that reading quick summaries – or long-form reviews, or lab tests – is a poor alternative to actually trying different lenses in person. Please support your local camera store if you're lucky enough to still have one. I picked the AF-S 50mm 1.4G to be my main lens for my D700 – before the 1.8G was announced – and now it's providing solid service on my D800. It's the lens that's always on the camera unless there's a specific reason to use something different, although occasionally my F5 is allowed to borrow it. 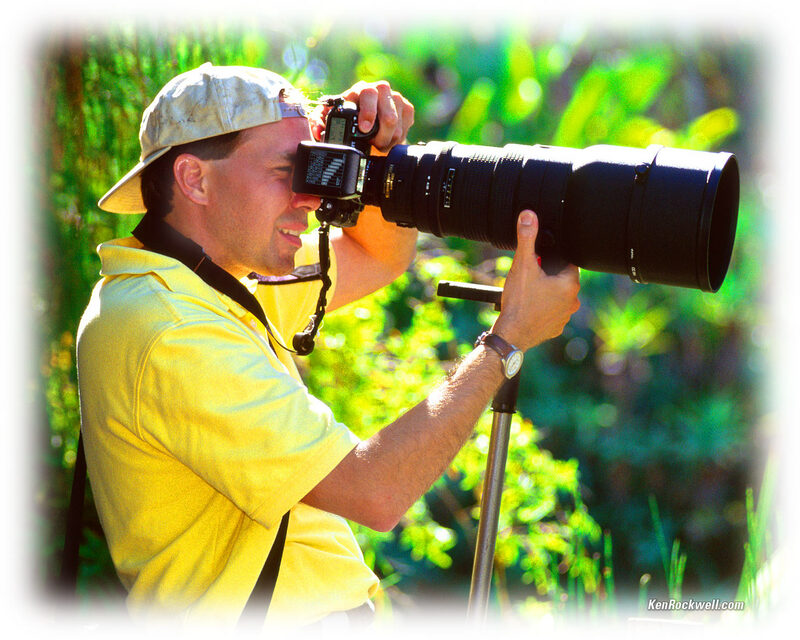 It's easy to carry, pleasant to work with, and has a very useful focal length. 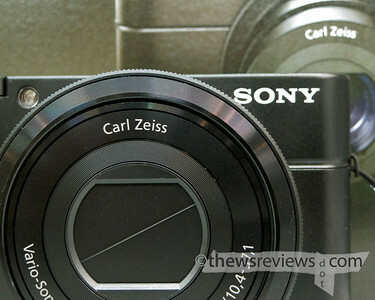 This is a lens that I like, both on the camera and in its results, and ultimately that trumps any test-bench report. If money is no object, then the 50/1.4G is still the best 50mm lens that Nikon makes, and it is a very good lens. But ultimately it's still only a midrange fast prime: a solid lens to have in the lineup, a staple that shouldn't be overlooked, but not outstanding in its own right. The fact that the 50/1.8G comes so close to its performance – and surpasses it in some ways – is quite remarkable for the cheaper lens, but not flattering for its big brother. If Nikon were to come out with a premium fast 50mm lens that improves on the 1.4G's weaknesses – snappy autofocus, sharper and more consistent across the frame, less distortion, weather sealing – I would be on it in an instant. They can keep the f/1.4 aperture and double the price: I don't mind if the performance is exceptional from 2.8 and merely excellent below that. But until then, I'm happy enough. I haven't found a whole lot that this lens can't do. 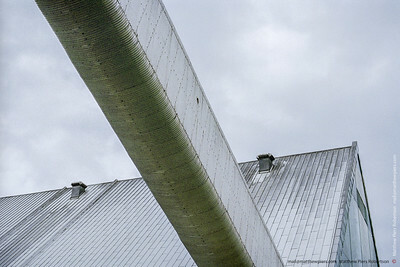 *Mea Culpa Update: I've re-run some tests with the AF-S 60/2.8G Micro lens on the D800. I can see a slight difference in their sharpness both at f/2.8 and f/5.6, the two apertures that I tested, and the 50/1.4G isn't the winner. 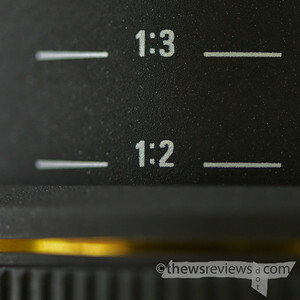 The macro lens also has faster autofocus and fewer aberrations of all kinds, with the sole exception of vignetting. My point about choosing the right lens remains, and the extra brightness is also a huge differentiator between the lenses, but for the best performance at f/4-5.6 I would pick the 60/2.8G. Yeah, but: This is a very early review. The Long Version: Part of the fun of having an iPhone is being able to dress it up. 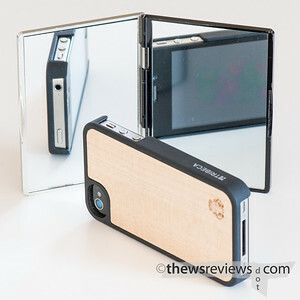 Tribeca's "Artisan Wood Case" is the fourth case that I've bought in the ten months that I've owned my phone, and I picked it out because I wanted a slim snap-on case that wasn't just the usual plastic. The descriptions on the website and on the box say that it's a genuine wood case, but of course it's not. 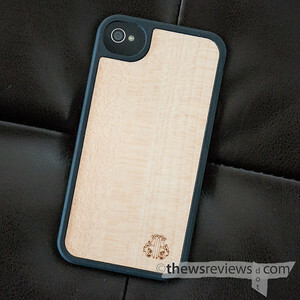 It's a genuine plastic case with a wood insert – there's a big difference between that and the claim that it "wraps your iPhone 4 or 4S in elegantly hand-crafted natural material". But the case is still very nicely made and nobody who has seen it has argued with its price, which is a fair bit higher than what a standard plastic snap-on case would command. The sides are a hard plastic with a slightly grippy coating, with large areas left uncovered for ports and buttons, and the edges of the case are raised above the face of the phone for protection when it's set down. The wood inlay across the back panel is nice to touch and provides a good grip, with smoothly rounded corners and a natural finish that adds to its charm. The fit is very secure to the phone, and I really have no complaints after its first week of service. I'll update this review if and when that changes. The Tribeca case is quite slim, and while it provides a solid grip for the phone, it's nobody's idea of a MilSpec MachoBox™. This isn't a 'protective' case. Of course, anyone who says "I dropped my phone and my MilSpec MachoBox™ totally saved it!" is an idiot for boasting about an unverified assertion. The only way to prove that particular brag is to immediately uncase the phone and drop it again – and at that point, no matter what happens, there's just no way to escape being an idiot. It's always best to handle the phone with a certain amount of care from the very beginning. The maple case that I bought is really good looking. There aren't many things that bring me spontaneous compliments, but this is one of them. The hipster dude in the Apple store was the most enthused about it, and only stopped talking about how great it looks and how he hadn't seen it before when I asked him about his band. * That's a very helpful hipster distraction technique – there's always a band. And while I have no love for the Apple Store, this is a case to buy in person if at all possible, because the wood grain for each copy is going to be different. The Maple pattern generally is very nice, so it's more a matter of picking a favourite than avoiding a lemon, but it's a good option to have. 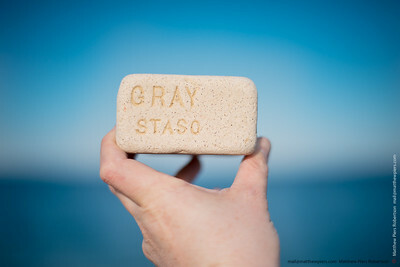 There are also grey and black stains available, and while I suppose someone out there must love them, I found them a poor alternative to the classic Maple. Keep in mind that I'm the guy who went into a clothing store that's a bastion of vivid patterns and plaids and walked out with polo shirts in light grey, dark grey, and black. So when I don't like the black or grey wood case, that should be a pretty solid 'try before you buy' warning. Finally, one more aside: Tribeca is an interesting choice for a company name. 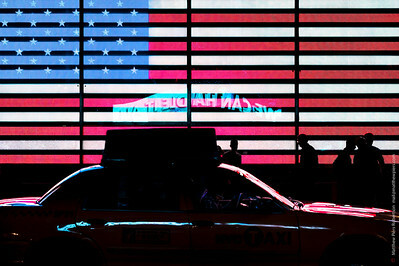 Taken from the neighbourhood in lower Manhattan, it evokes hip urbanity, which is good. 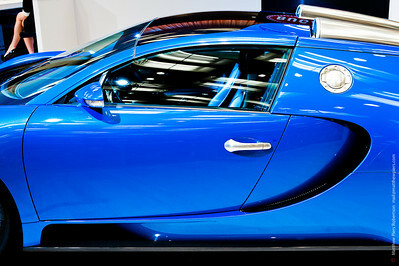 However it also makes the brand very hard to find with Google – either Search or Maps. My friends at Wikipedia put the maker's address, 665 Broadway, solidly outside of the proper Tribeca neighbourhood. And a quick look for information on the case's credited designer – "nu4u" [sic] – turns up a large number of second-hand stores, but not much else. I suppose it's hard to be unique these days. * Of course I did no such thing – I'd never imply interest by asking personal questions. He actually segued to talking about his band all on his own, but still, it is a handy trick to know.